A Portable Class Library (PCL) allows .NET developers to build true cross-platform HMI apps from within the one project file. In IDEs like Visual Studio and Xamarin Studio, a Portable Class Library (PCL) is a special project type. The resulting .NET assemblies can be used across CLI platforms such as Xamarin.iOS and Xamarin.Android, as well as Silverlight, WPF and Windows Phone. What’s the advantage of using the PCL project type? Before PCLs there was no quick and easy way to create cross-platform apps from within a single project. Instead, you had to create and maintain a separate project file for each platform you wanted to target. Using a PCL, you create a single project within your development environment and select those platforms you want to target. Apps developed using a PCL project type are fully native. Using an IDE like Xamarin Studio or the Xamarin plugin for Visual Studio you can develop HMI apps for iOS, Android and Windows Phone apps all from the one project. Are apps developed using a PCL full featured? 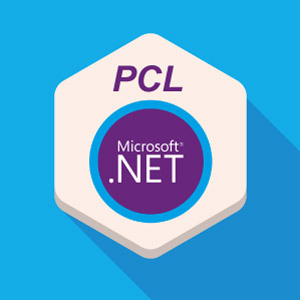 Because a PCL uses a subset of the complete .NET framework, the capabilities of this subset depend on the choice of mobile platforms targeted. Even with this limitation, the resulting HMI apps remain robust and can access the full set of OAS controls and components. Ready to build cross platform HMI apps? OAS offers full support for Portable Class Libraries. To begin experiencing the capabilities of OAS download a fully functional trial version today. Or if you prefer book a live demonstration with one of our sales team. To learn more about our products, contact your OAS Sales Representative toll free in the US on 1-800-533-4994 or for international enquiries call 1-303-679-0898.